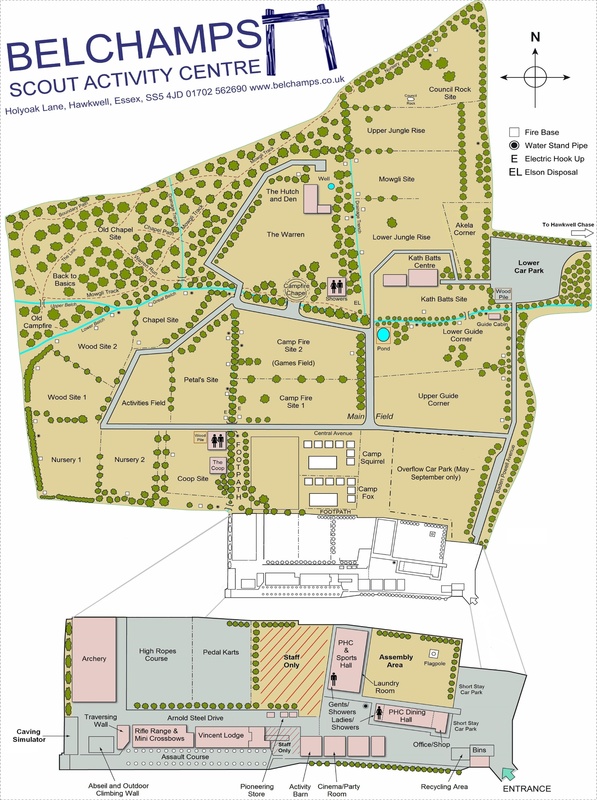 Belchamps Scout Activity Centre, Holyoak Lane, Hawkwell, Essex, SS5 4JD. Please use the access diagram and follow the directions to Belchamps. PLEASE NOTE: Your Sat Nav will try to take you up Mount Bovers Lane, This lane is unsuitable for motor vehicles and you should not use it as is also a private lane. 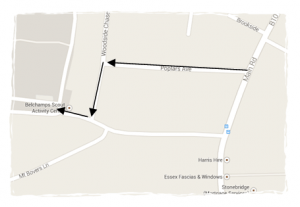 Instead, follow the sign off Main Road into Poplars Avenue and turn left at the top into Woodside chase and right into Holyoak lane. Belchamps is a large 30-acre campsite with over 24 some suitable for a scout patrol some for a large group. We have hosted district events an in the past even Essex Jambree. At Belchamps we have 5 indoor accommodation buildings, tented village and a cooking hut. The details of each building have risk assessment and floor plans so you can plan before your residential. Whether you’re here for a day visit or a week-long camp we are always here to help. In our Shop and Reception, we supply all of the core uniform elements as well as Sweets, Drinks and Gifts. No washing up, No buying food, no No washing up, No need to bring equipment. Why not book a Meal Deals prepared by our on-site chefs. Above the PHC we have a very large hall, sometimes used for our own large events such as JOTA JOTI, this hall can be booked, it has a great indoor climbing wall, hanging ladder and wobbly poll climb or just book it for games, the choice is yours. There are hot showers and toilet blocks with hot & cold water in the center of the site and by the PHC building, Kath Batts has a disabled toilet and also has wheelchair access ramps on the outside corner.